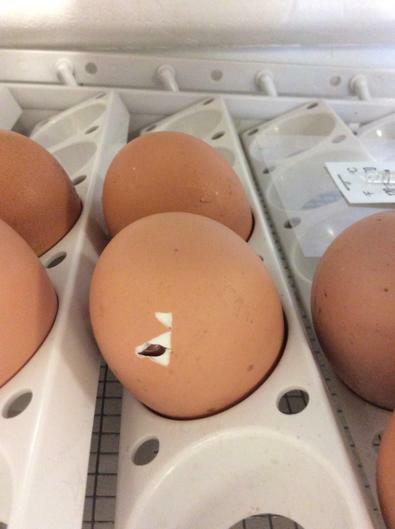 Recently in Nursery we received eggs with an exciting surprise inside. After patiently waiting for 21 days, our incubated chicks hatched out of their eggs on Wednesday 24th May! The first signs that our chicks will soon hatch. The incubator was filled with cheaping sounds as the newly hatched chicks, dried out and started to explore. During the day, we saw three more chicks hatch, a magical moment. The chicks now need more space so they have moved out of the incubator into a box. They have a heat pad to keep them warm and they are already eating chick crumb and drinking water independently. 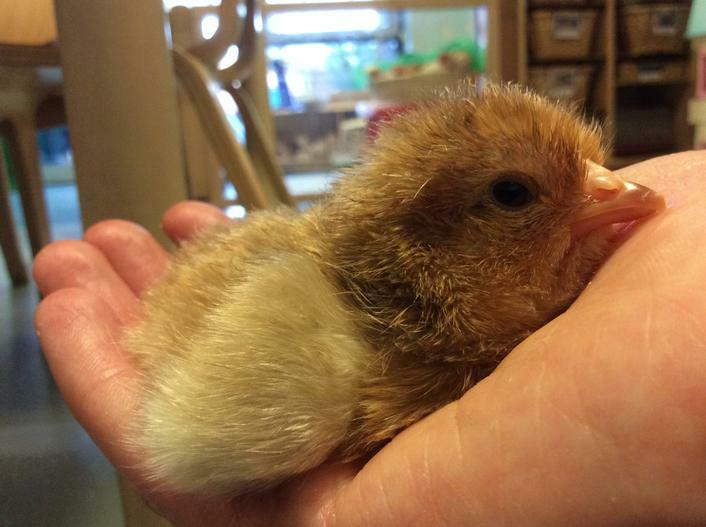 We will post updates our chicks regularly so the children can track their progress throughout the Summer Half Term-as the chicks will change vastly over the week! We hope you enjoy our photographs and updates! 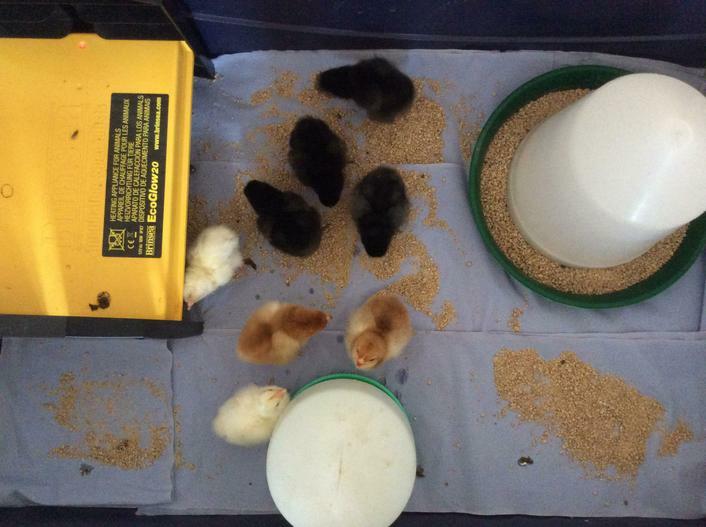 Day 3: The chicks are growing and becoming more confident. Holding a three day old chick. Day 4: The chicks have moved into a bigger home. They still need the heat pad, and all cuddle down underneath it to sleep. They will begin to eat chick crumb from the feeder now. Their water is in the smaller container. Mac - he likes pecking everything! The chick's wing feathers are growing. Day 5: A busy day exploring, eating, drinking & sleeping. Day 6: The chicks now have a bigger space to live in, they really enjoyed running around their cage. The chicks now have plenty of space. The chicks wing feathers are growing longer. Day 7: Getting ready for bedtime. Finding a good place to sleep. A good spot to sleep. The chicks are becoming more adventurous. Today they had some exploring time outside their cage. When the chicks stand up, and stretch, they are nearly as tall as the blue base of their cage. Ruby and Freya not wanting to be photographed! Ruby coming to look at what I am doing! Day 9: The chick's wing feathers are getting longer as their wings grow. They are getting taller each day and are very inquisitive. Waking up after a sleep. Chick Pea stretching after a sleep. Day 10: Good morning! Ruby and Lynn come to greet me when I open the door of their cage. 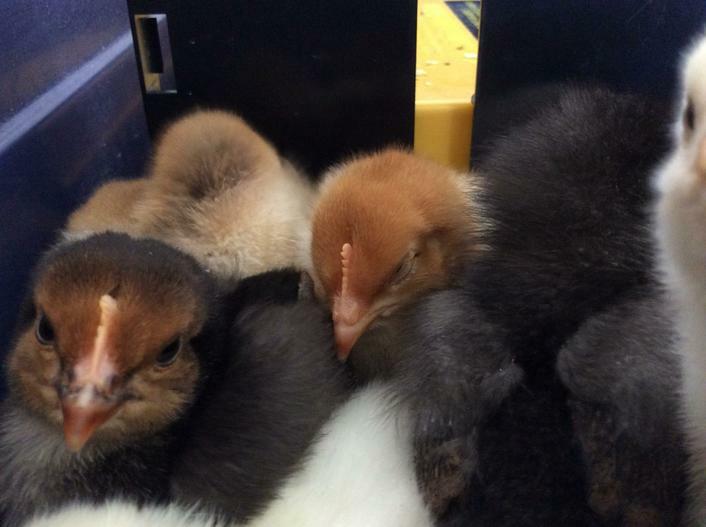 Day 11: The chicks all huddle together when they want to go to sleep. In the daytime they don't always sleep under the heat pad.